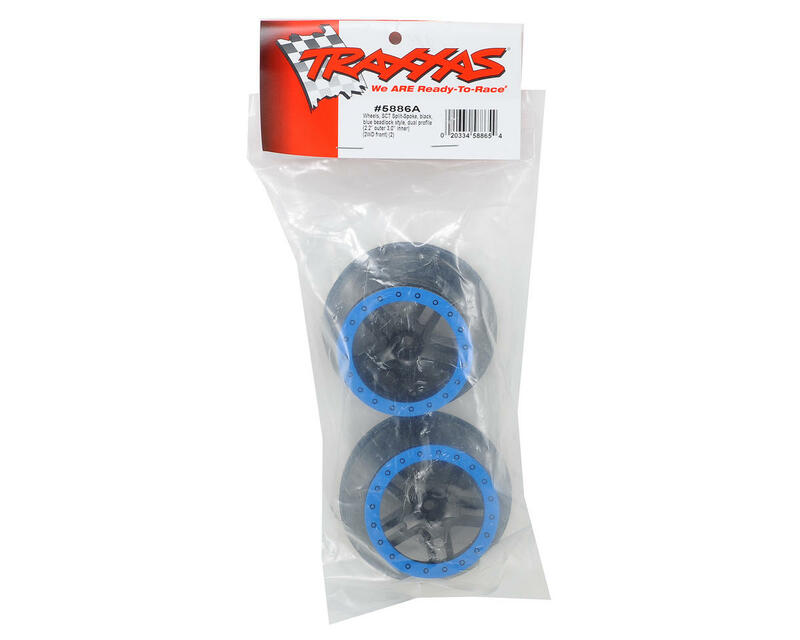 This is a set of two Traxxas 2.2/3.0 Dual Profile Split-Spoke SCT Front Black Wheels with a Blue Beadlock, and are intended for use on the front of the Traxxas Slash 2WD. 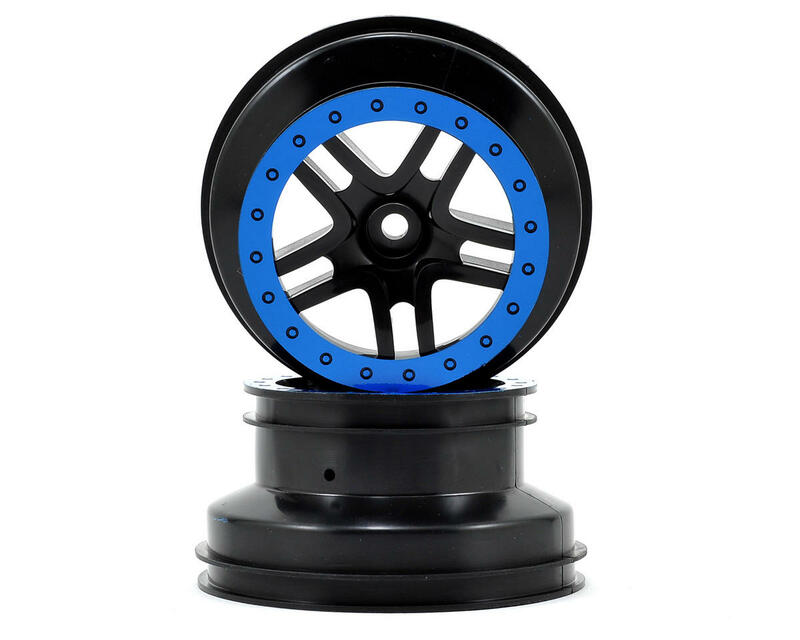 The design of the Split-Spoke SCT wheel features a black center and color molded blue beadlock detail for a realistic look. Fully compatible with factory Traxxas and aftermarket 2.2/3.0 tires, the wheels feature 12mm hexes and the same offset as Slash 2wd front wheels.